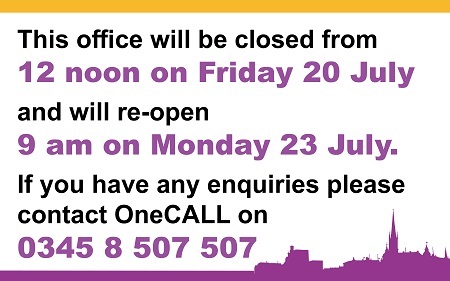 Our SAPs will be open at the following times during the Christmas period. 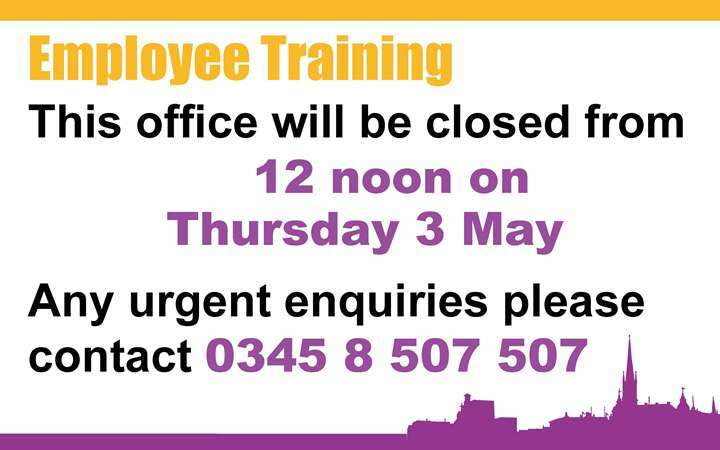 · 22 December – Wakefield Hub and Pontefract Hub open until 12 noon. · 24 December to 26 December – All SAPs closed. · 27 December to 28 December – All SAPs open. 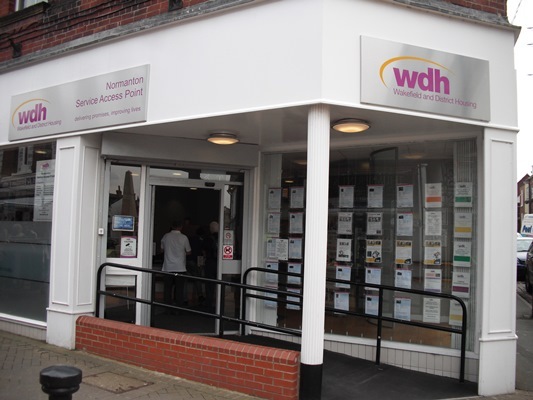 · 29 December – Wakefield Hub and Pontefract Hub open until 12 noon. · 31 December to 1 January - All SAPs closed. · 2 January - All SAPs open as normal. 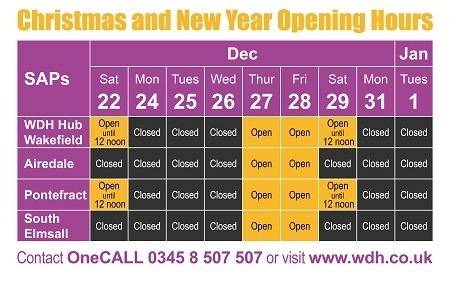 Please direct urgent enquiries during the Christmas period to OneCALL on 0345 8 507 507.